At the Chester County Community Foundation, we are fortunate to work with dynamic philanthropists interested in learning more about how philanthropy strengthens communities. Your continued generosity allows us to make an impact. As your partner in philanthropy, our aim is to make the grantmaking process easy and flexible for you. We provide personalized support via our staff philanthropic advisors to help you make grants through your fund. If you know exactly where you want to award your grants, simply send us an e-mail or fill out this grant distribution form to request that a grant be made to the charities of your choice. Family and Individual Fund Advisors are urged to attend any of our Smart Giving Series, designed to illuminate and inform about issues impacting Chester County philanthropy. Emerging philanthropists are urged to join the PHILANTHROPIC LEARNING ACTION NETWORK (PLAN) and get involved in giving circles, site visits, and nonprofit grantmaking discussions. The Community Foundation’s Enhanced Suite of Services for Family & Individual Philanthropy helps donors more deeply address their charitable giving. 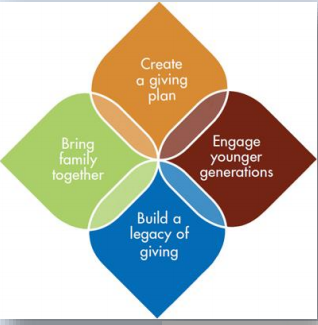 The Center provides customized services to help you be more strategic in recommending grants from your fund, engage multiple generations in giving, and more deeply discern the value of philanthropy and getting involved in the community. 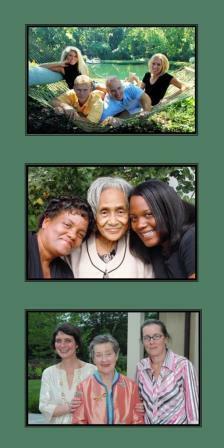 The Community Foundation has two levels of service. All fund advisors receive our standard service offerings, while Center for Family & Individual Philanthropy level fund advisors (those with charitable funds over $250,000) receive enhanced, customized services.